Young American women are poorer than their mothers and grandmothers were when they were young, more likely to commit suicide and be shut out of high-paying technology jobs — an overall demise in well-being since the baby boom generation. For experts working on women’s issues, the report’s conclusions came as no surprise. The report used 14 measures to assess well-being — such as earning capacity, education and health — to calculate the magnitude of the change between the status of young women today relative to women in their mothers’ and grandmothers’ generations when they were the same age. “We expected to see that there would be certain subgroups of women that would be doing much worse than others, but we were surprised to find that women overall were doing worse than the previous generation,” said Mark Mather, associate vice president of U.S. programs at the Population Reference Bureau and coauthor of the report. 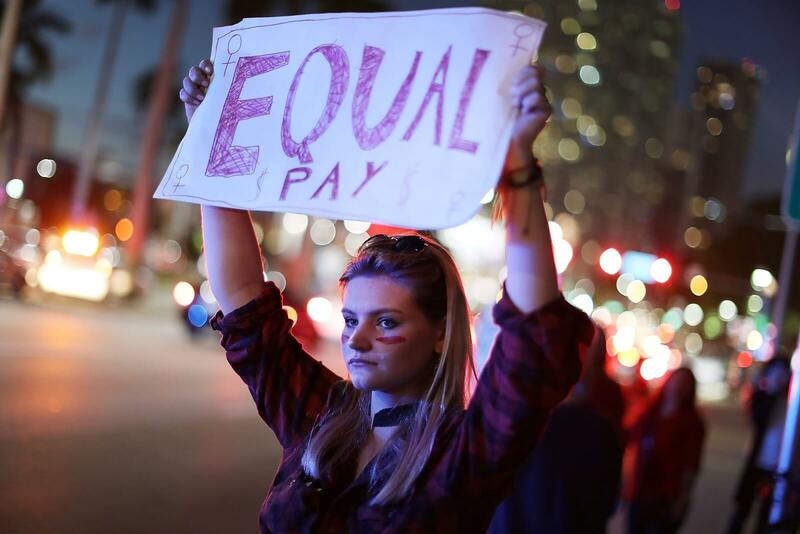 Improvements in young women’s economic security began to stagnate during the mid-1990s, and their struggles have continued into the millennial generation, particularly among women without college degrees, the report said. The eroding social safety net, violence against women, unequal pay — the Bureau of Labor Statistics put the median weekly earnings of full-time working men at $895 in 2015 compared with $726 for women — were other factors hindering the overall well-being of young women, according to the report. African American women, Latinas, American Indian and Alaska Native women were most susceptible to bad outcomes, compared with their white and Asian American counterparts, Mather said. The report found that the proportion of women aged 30 to 34 living in poverty had increased to about 17% for the millennial generation, up from 12% for Generation X females. While Generation X women comprised 1 in 4 workers in high-paying STEM occupations, the statistic dropped to 1 in 5 for millennial females, according to the report. Such trends are being targeted by the White House, which hosted a women’s empowerment panel in March. In February, President Drumpf signed a pair of bills into law aimed at recruiting more women for the fields of science, technology, engineering and math. But such efforts take time. If they have young children it’s often hard for them to find affordable child care, and transportation costs are high, Mather said. The Population Reference Bureau report also found that millennial women faced higher rates of maternal mortality than their mothers and grandmothers and were also more likely to commit suicide. In addition, the proportion of women imprisoned had increased tenfold between the World War II generation and the millennial generation. The report also identified several positive trends for young women, including a decline in the high school dropout rate, and an increase in the number of women with at least a bachelor’s degree. Disparity in earnings and business ownership has also diminished for women since World War II, and teen births are at historical lows. Successive generations have seen more women elected to Congress and state legislatures. “Today we’re just seeing much less progress across the board, and as a result it didn’t take a whole lot to drag down the overall index of well-being so that we saw this negative result for millennial women,” he said.